During the 14 flights, the Boeing 720 was controlled remotely by a pilot at a ground-based console for 16 hours and 22 minutes, including 10 takeoffs, 69 controlled landing approaches, and 13 landings on the abort runway. On the morning of Dec. 1, 1984, the remotely controlled Boeing 720 transport took off from Edwards on the 15th and final flight in the program. And who is behind this experiment flying Boeing passenger jets by remote control? For 60 years, Projects at Dryden have led to major advancements in the design and capabilities of many state-of-the-art civilian and military aircraft. Initial flight testing was accomplished with the 720 aircraft manned not only to verify aircraft modification integrity but also to practice the remote control aspects of the mission. The controlled impact demonstration of a Boeing 720 airplane was successfully completed on December 1, 1984, using a combination of proven and innovative techniques for telemetry and remotely controlled vehicles. The requirements to guide the pilotless test aircraft to the precise impact point and maintain exact flight conditions were met using telemetry command uplink and telemetry feedback downlink. Uplink and downlink telemetry systems were installed in a Boeing 720 aircraft that was remotely flown from Rogers Dry Lake at Edwards Air Force Base and impacted into a designated crash site on the lake bed. 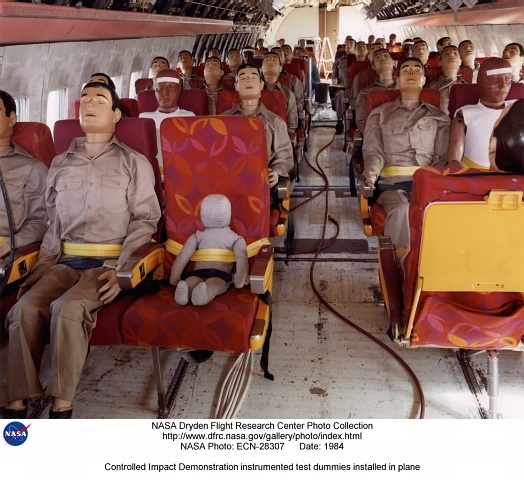 The controlled impact demonstration (CID) program was a joint venture by the National Aeronautics and Space Administration (NASA) and the Federal Aviation Administration (FAA) to test passenger survivability using antimisting kerosense (AMK) to limit postcrash fires, improve passenger seats and restraints, and improve fire-retardant materials. The uplink telemetry system was used to remotely control the sircraft and activate onboard systems from takeoff until after impact. Aircraft systems for remote control, aircraft structural response, passenger seat and restraint systems, and anthropomorphic dummy responses were recorded and displayed by the downlink systems. 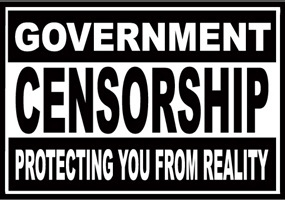 The Office of the Inspector General, Department of Defense is "the Federal cognizant agency for The Charles Stark Draper Laboratory, Inc."
Paul G. Kaminski--Trustee, In-Q-It, Inc.
You would think their remote control of Boeing aircraft would improve even more from the 17 years between 1984 and 2001, especially if they worked with PNAC member Dov Zakeim and his company at the time SPC which had interesting products such as remote control of airborne vehicles. During the 2000 U.S. Presidential election campaign, Zakheim served as a foreign policy adviser to George W. Bush as part of a group led by Condoleezza Rice that called itself The Vulcans. If the wtc was blown to kingdom come the planes that flew into them had to be remote controlled. You can't take a chance on these towers not getting hit. "..as recently as last month, Mr. Hanjour still seemed to lack proficiency at flying, said a flight instructor in the Washington suburb of Bowie, Md. Marcel Bernard, the chief flight instructor at the school, said Mr. Hanjour showed up in Washington asking to rent a single-engine plane. But he was told that he had to prove his skills before being allowed to do so." "Mr. Bernard said Mr. Hanjour made three flights with two different instructors but was unable to prove that he had the necessary skills." ''He seemed rusty at everything,'' Mr. Bernard said. "In the spring of 2000, Hanjour had asked to enroll in the CRM Airline Training Center in Scottsdale, Ariz., for advanced training, said the center's attorney, Gerald Chilton Jr. Hanjour had attended the school for three months in late 1996 and again in December 1997 but never finished coursework for a license to fly a single-engine aircraft, Chilton said. When Hanjour reapplied to the center last year, "We declined to provide training to him because we didn't think he was a good enough student when he was there in 1996 and 1997," Chilton said." "Staff members characterized Mr. Hanjour as polite, meek and very quiet. But most of all, the former employee said, they considered him a very bad pilot." Months before Hani Hanjour is believed to have flown an American Airlines jet into the Pentagon, managers at an Arizona flight school reported him at least five times to the FAA, reports CBS News Correspondent Vince Gonzales. They reported him not because they feared he was a terrorist, but because his English and flying skills were so bad, they told the Associated Press, they didn't think he should keep his pilot's license. "I couldn't believe he had a commercial license of any kind with the skills that he had," said Peggy Chevrette, the manager for the now-defunct JetTech flight school in Phoenix. "Radar shows Flight 77 did a downward spiral, turning almost a complete circle and dropping the last 7,000 feet in two-and-a-half minutes." "The steep turn was so smooth, the sources say, it's clear there was no fight for control going on. And the complex maneuver suggests the hijackers had better flying skills than many investigators first believed." The technology has been around for years! So has the technology for killing all people on board, as you would have to do if you were attempting to hijack a plane in this manner.